I am back guys from a long gap, I was out on street looking for more good food just for you guys. Today I am bring you a very small hotel but a good hotel located in R.T Nagar. This hotel is an Andra style hotel serves both vegetarian and non-vegetarian food and i think it will not disappoint you. I will really like you to try this place and some of the specific dishes which i will tell you later in this review. 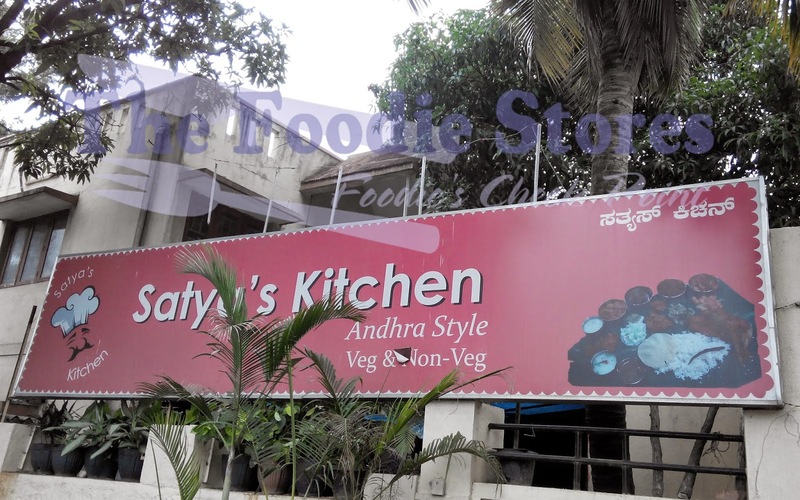 Satya's Kitchen on the whole is a decent place to eat good food. 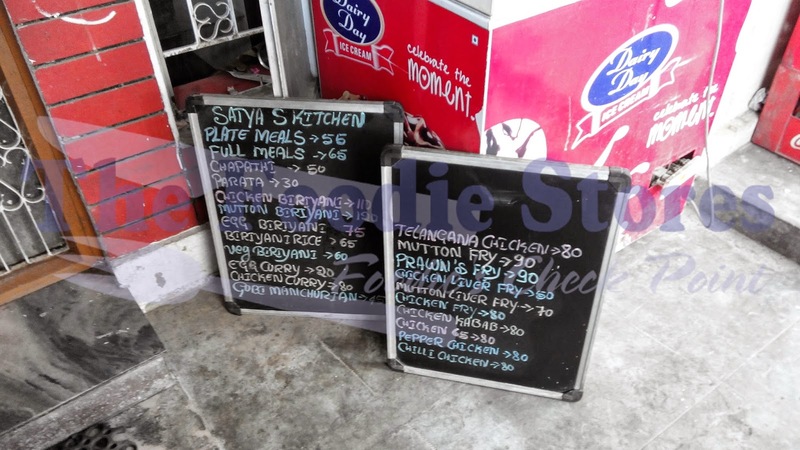 Satya's Kitchen food items are good but not really up to the mark, the reason i say this is because most of the food items here are little spicy and most of them might not feel good to have so much spice everyday. I can suggest this hotel may be once a week and spending money here to eat non-vegetarian will surely not disappoint you. however i have gone to this place more than 10 time and frankly i liked biriyani may be thrice i really liked. 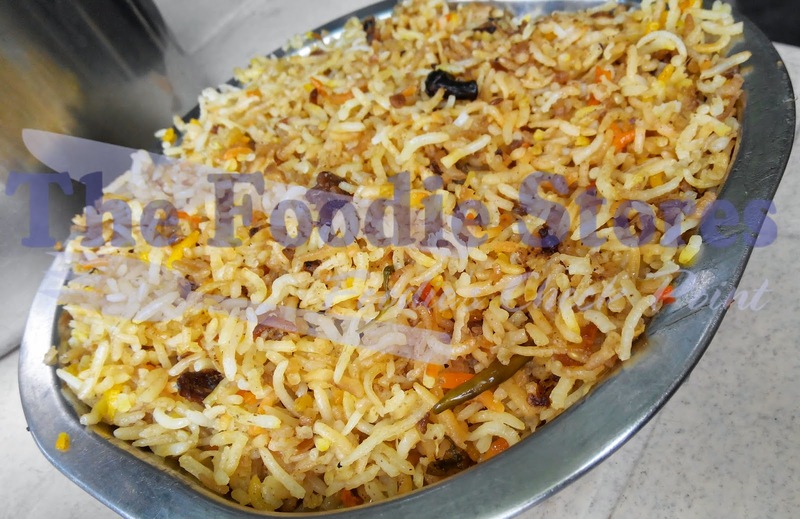 Biriyani is not really great however the famous andra meal is good. 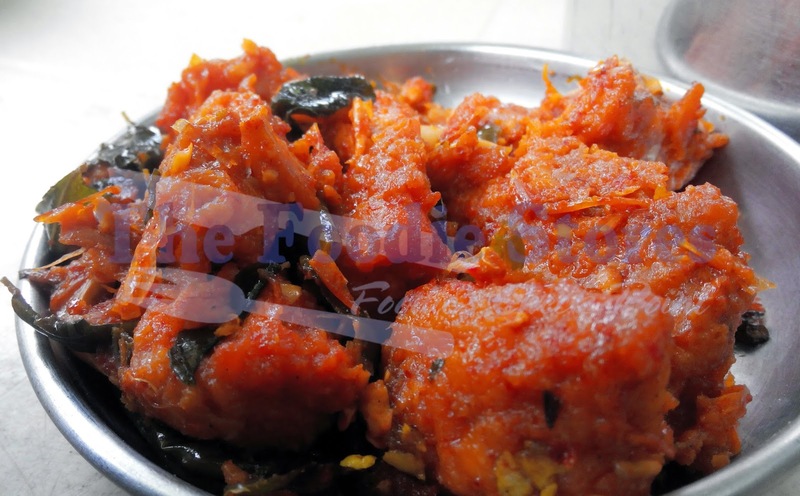 They serve tasty curries, masala buttermilk and rasam with a decent gravy and gun powered. They also serve chapati and parota here and i think you can try it. Coming to Non-veg i think you can try Chicken 65 boneless which is tasty and Chilli Chiken which is again good. Biriyani is average and dry, looks like hyderabadi Dumb biriyani but its not.